Very nice staff, nice breakfast, comfortable bed and room. Clean and simple, good value for money. Everything! Location Location Location! 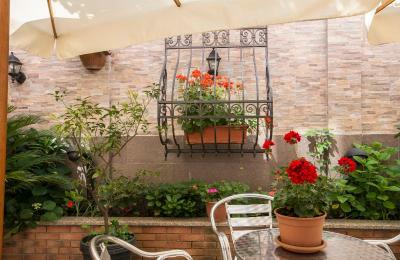 Shops, Spanish Steps and Vatican all 10-15 min walk away. Delicious breakfast with freshly squeezed juice and cappuccino- amazing croissants, deli meats, fresh fruit, etc. Lido, the gentleman, in charge of breakfast was very accommodating and always smiling! Snacks and water were available 24 hours a day. Room was modern clean and attractive. Location is good! Staff was very very friendly. They made me feel welcomed all the time. At restaurant they try their best to satisfy your needs. The Hotel is a little old but well located. It has a supermarket and good restaurant in the next door and the staff speaks well english and is nice. Breakfast was pretty good. Facilities were above average for the price we paid. Staff was very nice and quick to help. 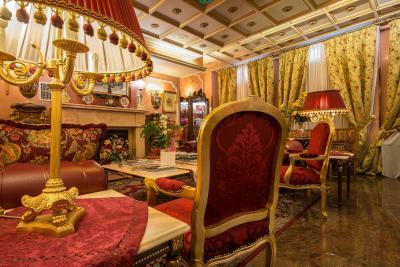 Beautiful hotel in a fancy style - The staff was very welcoming and helpful. 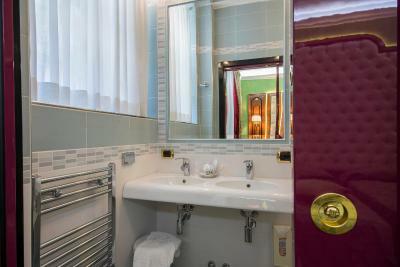 Comfortable rooms with air con, en suite facilities, plenty of storage space and a comfy bed. Friendly staff with a reception that seems to be manned 24 hrs. 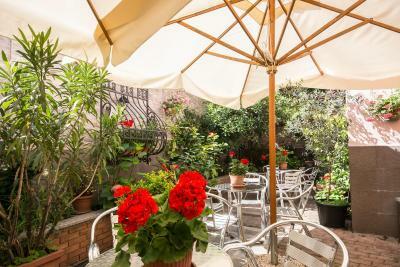 Close proximity to the centre of town and easy reach to Milan-Linate airport. Excellent area, lovely staff, really classic Italian vibe. 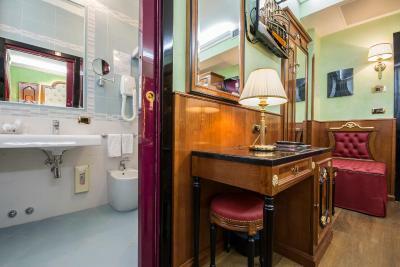 Hotel Vittoria This rating is a reflection of how the property compares to the industry standard when it comes to price, facilities and services available. It's based on a self-evaluation by the property. Use this rating to help choose your stay! 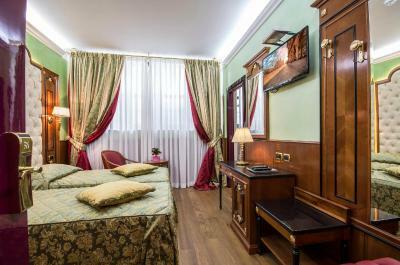 One of our top picks in Milan.Hotel Vittoria is located in Milan's Porta Vittoria area, 350 feet from the bus and tram stops for the city center. 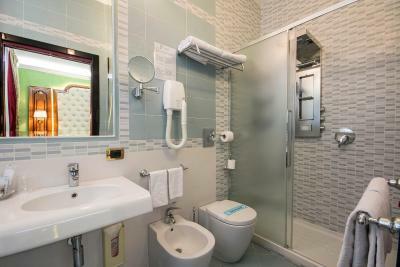 It offers free lobby Wi-Fi and rooms with flat-screen HD TVs and air conditioning. 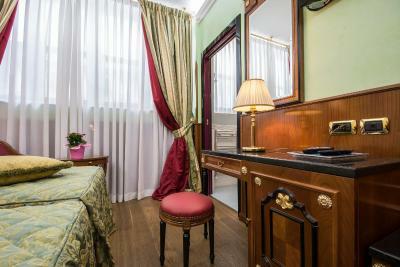 Family-run Hotel Vittoria offers cozy and elegant rooms with antique furniture. Some rooms offer a view of the relaxing garden. Breakfast is buffet style, and includes on request freshly squeezed juice made with oranges from Sicily. Gluten free and kosher products are available on request. You can order aperitifs, international cocktails and other drinks at Il Ritrovo, the hotel's bar. 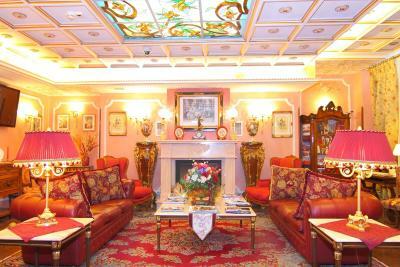 It is decorated with ornate paintings and there is live music in the evenings. 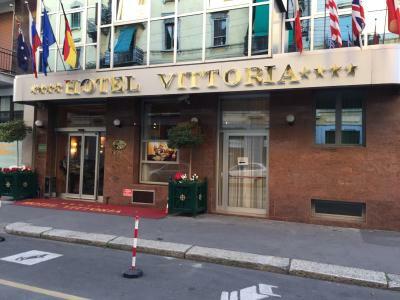 The Vittoria is 2,300 feet from Milan Dateo Train Station, linking to Rho Fiera Milano in 20 minutes. 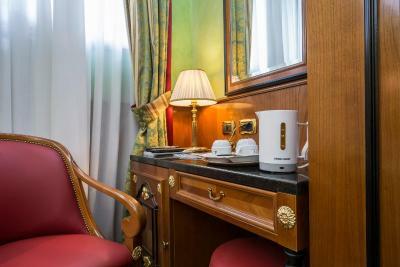 When would you like to stay at Hotel Vittoria? This room has a classic design. 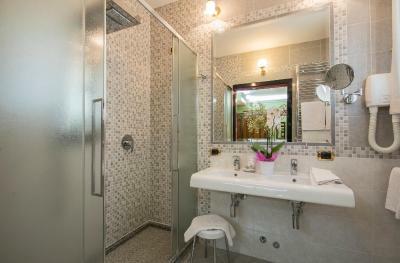 It features air conditioning, satellite TV and a mini-bar. 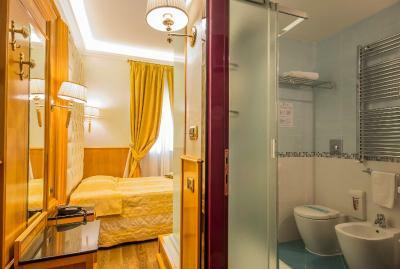 The single room features a single or a double bed. This room has a classic design. 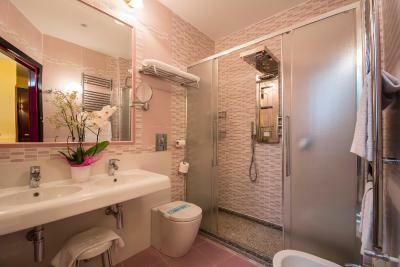 It features air conditioning, satellite TV and a minibar. 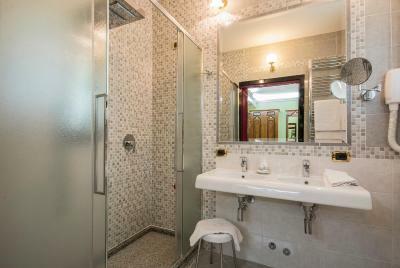 Consists of 2 adjoining rooms. 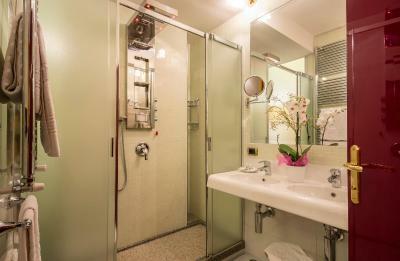 With classic design, it features air conditioning, satellite TV and a minibar. 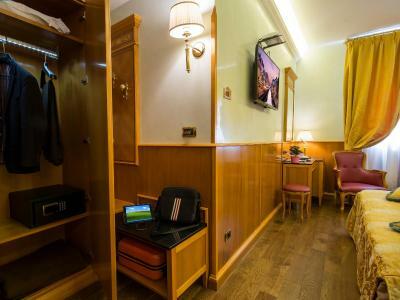 This double room has air conditioning, satellite TV and mini-bar. Hotel surroundings – This neighborhood is a great choice for travelers interested in convenient public transportation, city walks and architecture – Check location Great location - show map Guests loved walking around the neighborhood! 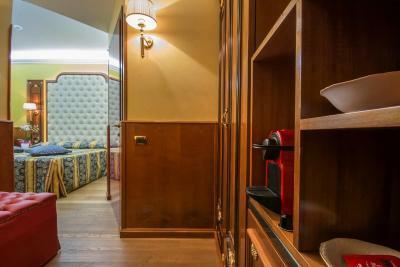 House Rules Hotel Vittoria takes special requests – add in the next step! 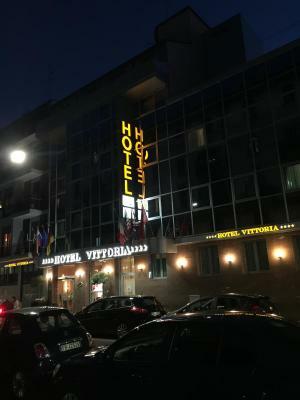 ATM card Hotel Vittoria accepts these cards and reserves the right to temporarily hold an amount prior to arrival. Hotel Vittoria accepts these cards and reserves the right to temporarily hold an amount prior to arrival. Please note that air conditioning is available from June until September. Too small rooms and I would not give it a 4*. Perhaps 3. Breakfast was so so. Rooms and reception space too small. The cushion was Uncomfortable !! Rooms are very small. Breakfast is never on time. It is supposed to be open at 7am but everything is empty at that time and you need to wait until about 7.15am for all the food to be in its place. Only one waiter is available to prepare the food, serve the coffee, cook the bacon and eggs and clear the tables so the service is very slow and late. The reception staff were very helpful, especially Gabriele who went out of his way to help me every time I asked him. 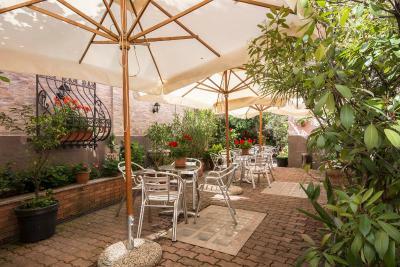 Super kind stuff , close to shops and restaurants and an about 10 minutes walk to the dome and center of milan . 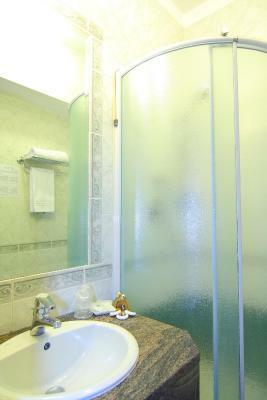 Great room , nice rainforest shower and comfortable bed ! You properly can get an idea about the design of the room from the hotel name. The room was very small, a single but there was barely room for the double bed, but was upgraded on the third night! No tea or coffee making facilities which was odd for a four star hotel.